Recently on sale is the “freshened” 2016 edition of the venerable Nissan Sentra, which adopts the company’s V-Motion grille along with several new features. Nissan’s Sentra has had a tough row to hoe. Through seven generations since 1982, it has had to go head-to-head against the Honda Civic and Toyota Corolla, juggernauts that have long held the sales crowns of the compact class. Yet the Sentra has faired surprisingly well, particularly in the past few years. It recently passed the Chevrolet Cruze and Ford Focus to become the 3rd best-selling car in the class, and it’s also Nissan’s Number 3 seller behind the Altima and Rogue. 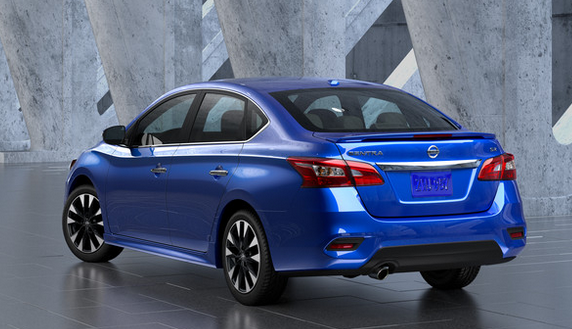 For 2016, Nissan has given the Sentra a refresh that gives it both an updated look and more high-tech safety features. Over the past few years, Nissan has been adapting its corporate “V-Motion” grille to the remaining vehicles in its product line. Earlier this year, the midsize Altima received the treatment; now, it’s the Sentra’s turn. Also like the Altima, Sentra has been given a host of newly available high-tech safety features. In the case of the Sentra, these include forward collision warning and mitigation, blind-spot alert, and rear cross-traffic alert. Also newly offered in the Sentra are intelligent cruise control (which maintains a set following distance) and three versions of NissanConnect services. 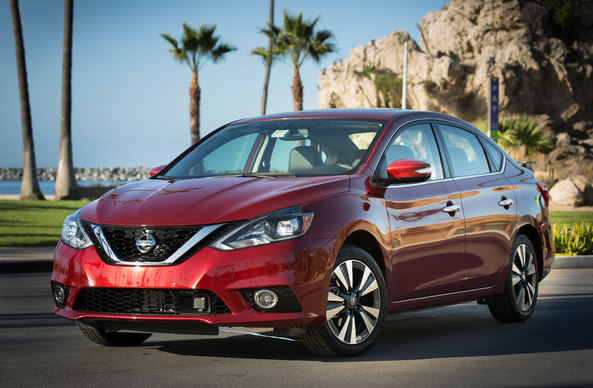 The 2016 Sentra in offered in six trim levels, all equipped with a 130-horsepower 1.8-liter 4-cylinder engine. Thin roof pillars aid visibility, and interior space is impressive for a compact sedan. Sentra prices start at less than $18,500 with automatic transmission and a host of standard features. Anchoring the lineup is the base S with a 6-speed manual transmission – the only model to offer a manual – which is priced at $17,605 including the $825 destination charge. 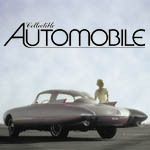 EPA ratings for this powertrain are 27 city/36 highway/30 combined, the lowest of all the Sentras. An S with CVT automatic is $18,455. Its EPA ratings of 29/38/32 stand for all other Sentras save the economy-oriented FE+ S version ($18,855), which is equipped with low rolling-resistance tires and aerodynamic aids that boost its ratings to 30/40/34. Next up is the $19,375 SV, expected to be the volume leader. It adds such niceties as NissanConnect with Mobile Apps (including Bluetooth cell-phone link, hands-free text messaging, satellite radio, smart-phone integration, 5.0-inch color display, and apps such as Pandora and iHeartRadio), rearview camera, keyless access and starting, and Siri Eyes Free voice recognition. Expected to be a popular option on the SV is the $1020 Driver’s Assist Package, which includes NissanConnect with Navigation and Mobile Apps (navigation system, 5.8-inch touchscreen, SiriusXM Traffic and Travel Link), blind-spot alert, and rear cross-traffic alert. Also optional is a $750 Style Package (power moonroof and 16-inch alloy wheels) and $300 All Weather Package (heated front seats and heated outside mirrors). Added for 2016 is the sporty SR trim level, which brings lower body cladding, a rear spoiler, chrome exhaust tips, LED headlights, fog lights, and 17-inch alloy wheels for its $21,235 base price. Optional is the $2590 SR Premium Package, which includes features from the SV’s Driver’s Assist Package (also optional here) plus auto-dimming inside rearview mirror, Homelink universal garage-door opener, Bose premium audio system, leather upholstery, and power driver seat with lumbar adjustment. Also optional is a $1230 Technology Package that brings adaptive cruise control, forward collision warning and mitigation, and NissanConnect Services Powered by SiriusXM (adding remote access, customizable alerts for speed and boundaries, and convenience services). Topping the lineup is the $22,995 SL. It comes with dual-zone automatic climate control along with many of the items already listed, though the aforementioned Technology Package is optional, as is a $1130 SL Premium Package that includes a power moonroof and Bose premium audio system. Hop inside the new Sentra, and you’ll notice that visibility is quite good to all directions – hardly a given these days – thanks to relatively thin roof pillars. The dashtop and armrests are padded, but not the door tops, and the black interior (the only color offered) is brightened only with a few streaks of silver trim. At least on the higher trim levels tested (no S or SV models were in attendance at the preview), the audio system is mounted high, within easy reach, and includes volume and tuning knobs. Climate controls are likewise easy to reach, but consist of tedious-to-use repetitive-step pushbuttons for temperature, mode, and fan speed. Like the Ford Model T, Sentra’s interior is available in any color you want … as long as you want black. Some padded surfaces and silver trim keep it from looking cut-rate, and all controls fall readily to hand. Interior storage is about par for the compact course, highlighted by a huge glovebox. However, the console box is on the small side (it includes a sliding armrest lid along with Aux and USB jacks), a small dash bin carries a 12-volt plug, and there are two console cupholders, with two more incorporated into the door map pockets. There’s good headroom and legroom in front, and even with the front seat ahead pushed far back, there’s 6-footer headroom and knee space in back. The trunk is large and wide at the rear, with some “unofficial” storage space around the spare tire under the cargo floor. However, the sickle-shaped trunklid hinges dip into the load area, there’s about an 8-inch liftover to bumper height, and the folded rear seat backs rest a good seven inches above the level of the trunk floor (making it difficult to slide long items forward), though the opening between them is large. Our California preview route was virtually devoid of the kind of potholes found in abundance around our Chicago headquarters, so a thorough evaluation of ride will have to await a local test. But what we did encounter indicated the Sentra’s suspension was set on the firm side, though we only drove SR and SL models equipped with 17-inch wheels and tires; those with 16s (the Ss and SV) might ride a bit better. Handling seemed nimble and the steering was light enough to make parking a breeze. Many people don’t much care for the driving characteristics of CVT automatic transmissions, as they tend to hold the engine at a constant high speed under acceleration, where it often sounds loud and gruff. Nissan has programmed its CVT to simulate conventional “shifts” under acceleration, in part to limit noise, and in part to make it seem more like a conventional automatic. That effort is only partly successful. Indeed, engine speed rises and falls as you accelerate – as it does with a conventional automatic – but the “shifts” come through as slurring a bit, and the engine makes a fair amount of noise under heavy throttle. On the positive side, acceleration is decent for the class, and the transmission kicks down fairly quickly for more passing power. Sentra’s svelte lines and classy appointments — at least on higher-line models — belie the fact that its prices generally uncut those of its closest rivals. Against its Corolla and Civic competition, the Sentra comes off as being a slightly upscale-looking car offering lower starting prices and good overall value. Whether with manual or automatic transmission, the base Sentra S undercuts the base Corolla L by $280 to $530, and the base Civic LX by nearly $1900. Notably, Corolla doesn’t offer some of the Sentra’s high-tech safety features. However, Civic does – and adds a couple not available on the Sentra – and it offers them even on its base model. But otherwise comparably equipped, a Civic will likely cost a bit more. What it all adds up to is that while the Sentra – even in “freshened” form — isn’t likely to overtake these rivals on the sales charts, it most certainly merits a slot on your compact-sedan shopping list. Written by: Rick Cotta on February 16, 2016.on April 28, 2018.